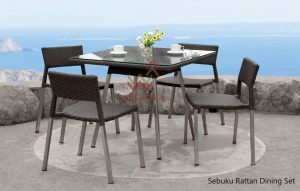 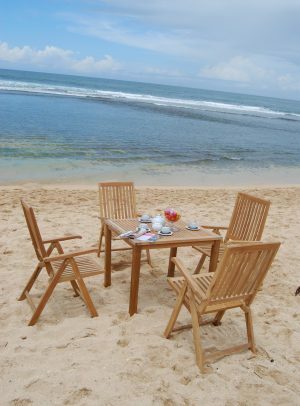 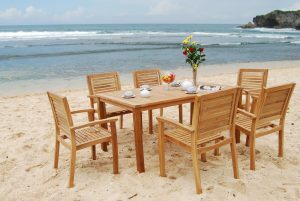 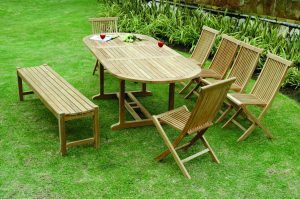 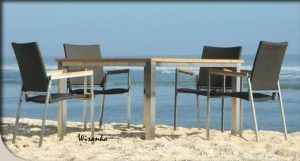 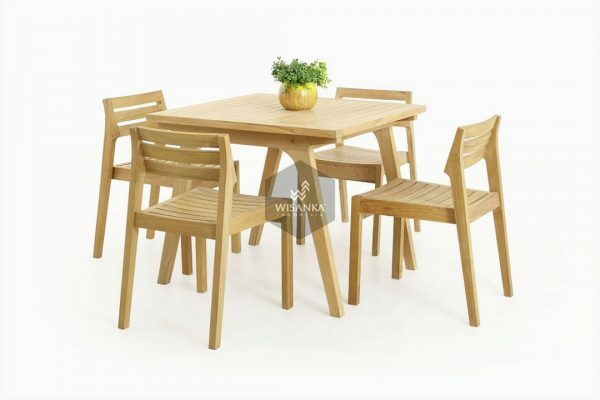 Three reasons make this dining set so specials: 1) made of affordable and durable material – Indonesian teak wood finished in smooth sanding. 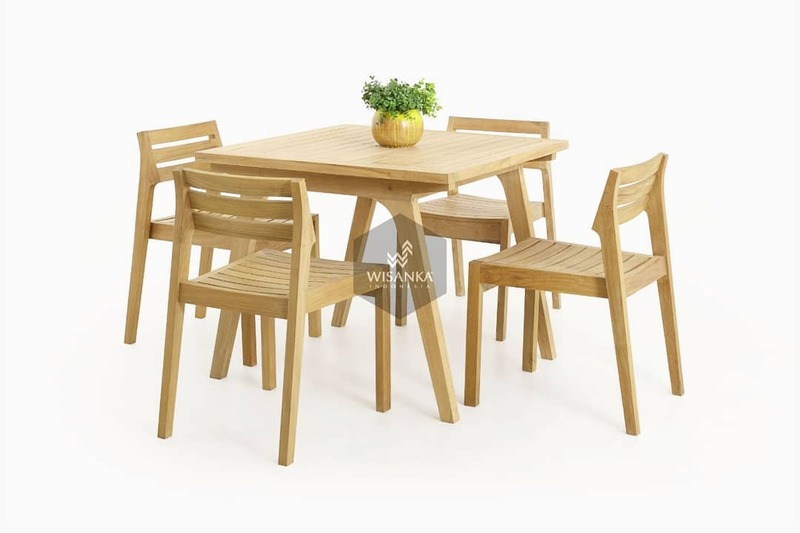 2) slats are coming out all over the seat and back rest of the dining chairs also on table which not only represent a simple design, but is also used as a technique so that wood wont easily cracked. 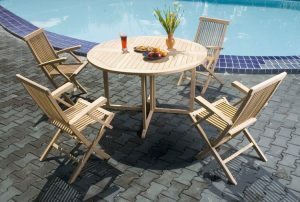 3) this set is eco – friendly, we dont apply any finishing material but smooth sanding. 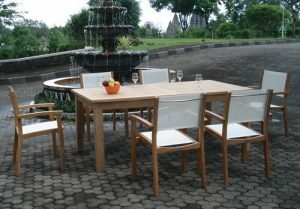 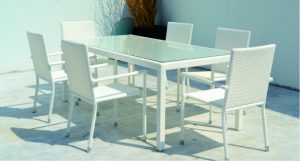 Dimension: Denver chair: 76 x 56 x 53 cm (HWD) Denver table: 76 x 90 x 90 cm.